Nickel's pit bbq proudly uses locally sourced meats, breads, and other ingredients whenever possible. We believe it's important not only to save on wasteful transport costs and pollution, but to support our local economies and communities. Here are some of the many businesses and organizations with which we are proud to cooperate to bring you the best, the freshest, and the most local experience possible! 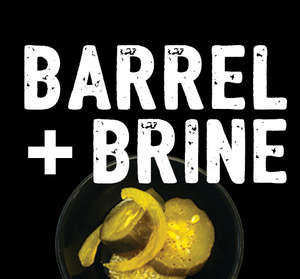 Visit Barrel & Brine for fine artisanal pickles, bomb Bloody Mary Mix and fermented goods! At Myer Farm Distillers, they both plant the seed and produce the spirit. Fine vodka, whiskey, and more! Schrader Farms Meat Market is a small, hometown family business with high quality, locally raised meat! Lowery Family Farms building a legacy for the future while feeding your family the healthiest possible meat, fruits, and veggies! Local breads, rolls, sweets and more from Montour Falls' great natural and taste-tempting bakery! Artisanal cocktails and signature dishes? Visit our newest adventure on Franklin Street, Junebar! Yancey's Fancy has a long history of making delicious cheeses and began right in Nickel's hometown! Rooster Fish Brewing is a Watkins Glen staple, producing fine and fun beers with local ingredients!